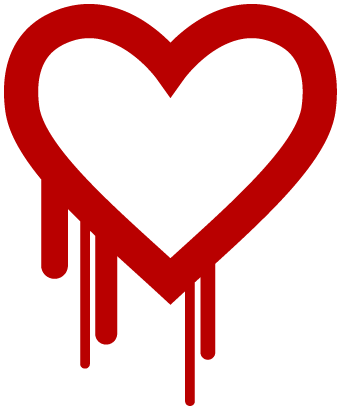 Severe web venerability Heart Bleed Bug left millions web users feeling unsecured as the bug threat got disclosed on Monday. This major security bug could scan all the data from your computer including your saved passwords and private information. The Bug is venerability in Open SSL encryption Software that is used by a large number of web applications. Hear Bleed bug was earlier spotted two years ago when it attacked some Yahoo and Flicker servers but the damage was not reported. The recent attack had many web security agencies screaming because there is no certainty on how many servers have been affected by the bug. Since this Bug could read everything on had web users worry for that fact that it can steal your bank username passwords, emails, instant messages and just about action you perform on the web. Cyber criminals and hackers hit the jackpot at times like this so security agencies are advising web users to be very careful. Here is some security tips you should exercise to make sure that this deadly bug does not give you a heart attack. It’s never safe to log into your personal account while using a public Wi-Fi service but it could be proven real security threat in venerable situations. Try not to log into your social accounts, emails, and more importantly your bank accounts. Changing your email, social networks and banking password is a small measure that could save you from a major security blow. Security expert are advising web users to stay away from the internet for 2-3 days but for many of us it’s impractical to do that. So the best bet to protect your personal information on the web is to change your password. The last thing you would want to do is to give away your personal information to the bug easily. So make sure that you clear all your browsing history, session keys and session cookies. Try not to opt for “save my password” option on your browser until the Bug issue gets solved. Check your bank statement frequently so you can address a security breach as early as possible. Try not to share your bank account details, username and password with anyone else via email or direct message. Heart Bleed Bug Reveals Yahoo Passwords, Who Else is at Risk? Next story Heart Bleed Bug Reveals Yahoo Passwords, Who Else is at Risk?